I’m going to go out on a limb here and say that you’re probably wondering what I’m referring to, seeing as this is one line that appears in the manga and, if you weren’t really paying attention, you may have just glossed over it and not even noticed. It doesn’t seem important anyway, right? Well lucky for you and me alike, I waste spend my days reading up on random tidbits of Sailor Moon trivia, and this one just happened to be the one that most recently sparked my interest. That’s right, folks! We’re going to talk about what Rubeus was implying when he warned the world that the Age of Aquarius was about to start.1 If you’re interested, I hope you join along for the ride! It’s Act 5 of the manga and Calaveras is up on stage doing a live channeling. She’s channeling Rubeus, who addresses the world to tell them of their impending doom as Rei’s classmate, Kotono Arashina, Asanuma, and everyone’s BFF Naru watch in horror. Anyway, I digress. So Rubeus basically goes on to say about how the world is coming to an end, blah blah, bad things await. I’m not sure how the other English versions have handled this scene, so I’ll give you my translation here. The world is about to enter the Age of Aquarius. As indicated by Aquarius, the thousand-year space age will begin. This will be an age of reformation. We will reform the earth, and put it on the right path. You must not believe those of the “white moon.” Those who possess the mark of the white moon will bring catastrophe to the planet, using the Silver Crystal! Do not believe the White Moon. Smash the Silver Crystal! Entrust the planet and its future to the Black Moon! So with that out of the way, we can now get back to our question of what the heck is the Age of Aquarius and what was Rubeus talking about? “Age of Aquarius” is an astrological term denoting either the current or forthcoming astrological age, depending on the method of calculation. Astrologers maintain that an astrological age is a product of the earth’s slow precessional rotation and lasts for 2,160 years, on average (26,000-year period of precession / 12 zodiac signs = 2,160 years). So that tells us kinda what we want to know, but not quite. While the whole Age of [Enter Star Sign Here] is relevant to all star signs in that they are associated with a time of growth, destruction, invention, or drastic changes, it turns out that Aquarius in particular has a slightly deeper meaning, even if it isn’t quite as insidious as Rubeus seems to think. Before we can get to that, first we need to talk about where the phrase even comes from. With that out of the way, it’s probably a good idea to now get to why it is that the Age of Aquarius is seen as special, and why it’s not just any other age the people picked up on. After all, they just mark the coming or going of another astrological cycle, right? Wrong! As it turns out, some people believe that the Age of Pisces is what marks the birth of Jesus Christ.5 In that case, the ending of the age – meaning the coming of the Aquarian Age – would also be a sign of the downfall of Christianity and, with it, a lot of the establishments built on Christian values. Like Rei’s school. I won’t go into a whole lot of detail here because, frankly, I think it’s all pretty absurd, but much of the evidence relies on fish, which happens to be the sign of Pisces, being one of the prominent symbols of Christianity. Apparently Jesus also exhibited many of the common temperaments and personality traits of a Pisces, so I guess that proves it. …listen, I don’t believe in astrology, so I’m afraid it’s hard for me to follow the absurdity. So, back to Rubeus! What did I mean about him getting it wrong? Well, he’s actually wrong on multiple levels. 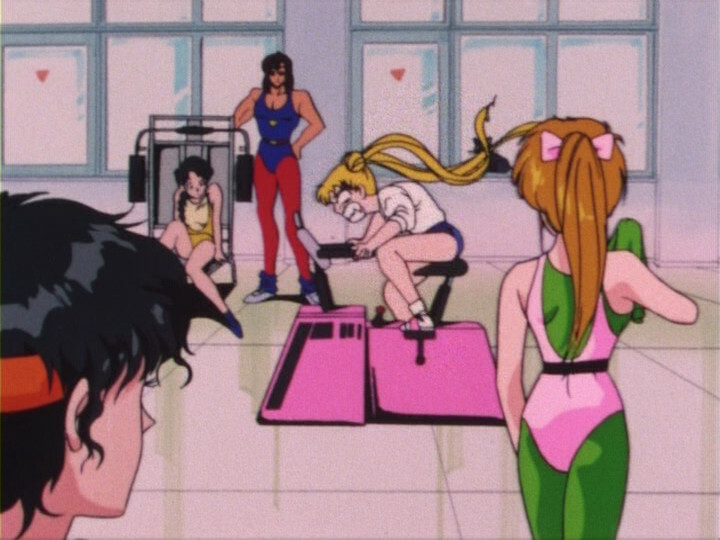 Read also: Was Sailor Moon One of the Most Popular Anime of the 1990s? Second off, the Aquarian Age is said to be “the age of freedom, technology … and the water bearer.”9 Not exactly the destruction and new world order he seems to imply. So even if he wasn’t so off with his dates, and even if the astrological star signs did carry with them a message of what is to come, it’s hardly the future he seems to suggest. Unless, of course, he is suggesting the Black Moon will bring about peace. But I don’t think so. They were never portrayed as anti-heroes. So there you go! Rubeus was wrong, crazy, and had no idea what he was talking about. But, if nothing else, he sounded really cool while doing it! Kinda like me and these articles I write. Out of curiosity, what do you think about the motivations of Rubeus and the Black Moon Clan? Were they truly the “evil for the sake of evil” types, kinda like the anime seemed to imply, or do you see them as wronged “anti-heroes,” off on their own morally-justified adventure to fight for what they believe in? I’d be interested in seeing other opinions on this! ← How Were Haruka and Michiru’s VAs Told to Portray Their Characters? 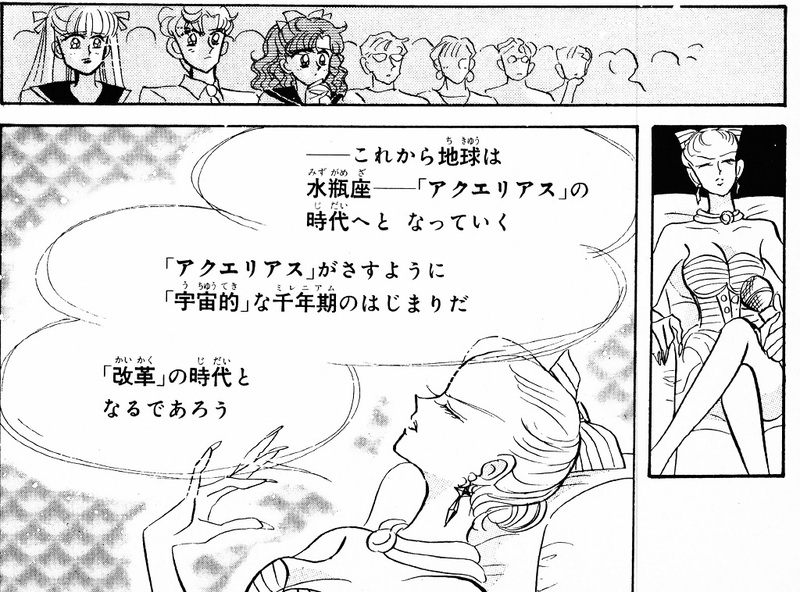 I prefer the take found in the musical “Petite Etrangere” because the Black Moon Clan there do have a point: the world of Crystal Tokyo is a stagnant future, because people never age or die. Yes, they were co-opted by Wiseman, but Saphir and Demande’s original argument was that by the moon and silver crystal taking over the earth, they’ve essentially doomed progress. One god-queen’s utopia is another person’s eternal prison, I suppose. I guess it’s one of those Obi-wan “point of view” type arguments. What I think of the Black Moon? That they THOUGHT they were dashing anti-heroes, but had no idea of what they were really doing or that they were romanticizing their predecessors, who were crazy terrorists. And while the belief can be forgiven, the destruction cannot. Not without a great punishment or act of redemption. Wait a minute… Act of redemption… By my reasoning, that means that in Crystal Demando is the only one who could conceivably be forgiven. Demando. The goddamn’ sexual predator. For whatever reason, I think they genuinely thought they were doing the right thing by eliminating White Moon. They thought that long life was unnatural, which, yeah, it is, but that’s another debate/topic. But I think they were so corrupted by Nemesis / Death Phantom that they weren’t thinking clearly. Obviously, they were going about it in a really weird way, and Prince Demande had some ulterior motives going on. 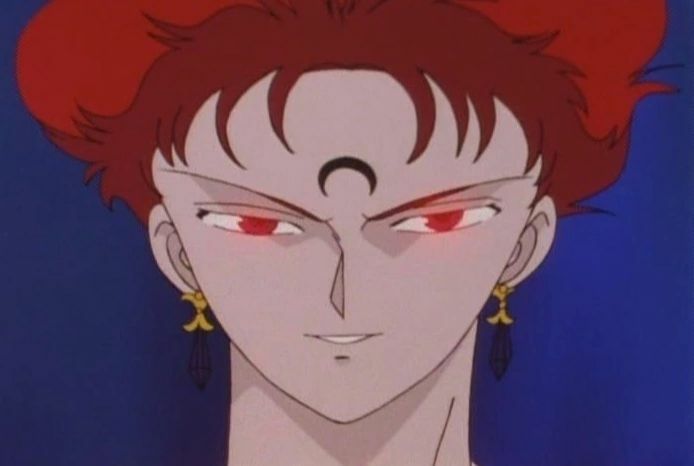 I actually think Death Phantom was the creepiest villain, and the only time I felt real “danger” for Sailor Moon and the others. He had such a strong grip on everyone’s mind too. Interesting take on their characters! Honestly, I think given a little more time to develop, we could have had a clearer idea of their motivations. But I like the idea that they weren’t “bad for the sake of bad” and were actually trying to be good guys in their own way. I always found it interesting how the second arc seemed to (possibly unintentionally) present this kind of morally grey area when it came to both factions in the future. That things aren’t so black and white. You have Neo Crystal Tokyo as this apparent paradise in a post apocalyptic world. Yet there is this hint that it’s also a bit of an oppressive regime. Where the people are seemingly forced to accept things they may not want to, such as never ageing or dying. The Black Moon Clan are initially the noble rebels who were exiled for not accepting this will imposed on them, yet also display a level of dubiousness. But of-course, the line between freedom fighter, and terrorist is a very thin one, and a matter of perspective. 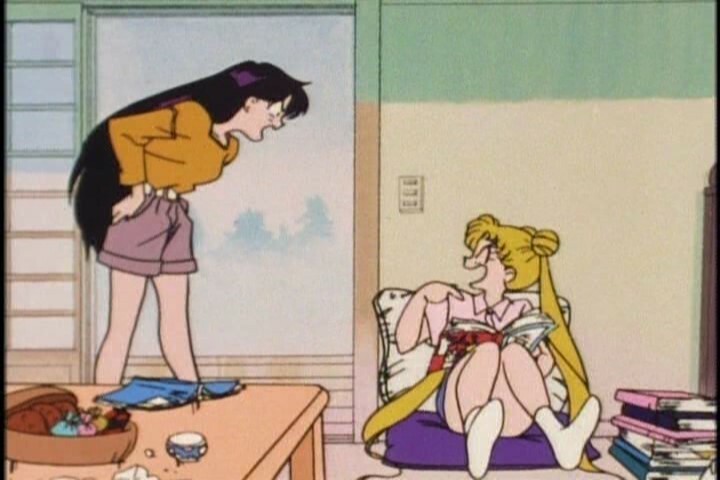 We have Demande’s creepy obsession with Serenity, and in turn Usagi. This Prince dressed in white like a traditional messianic figure, abducts a girl, undresses her while unconscious, and then tries to brainwash and force himself on her. Or Rubeus’ emotional manipulation of the Ayakashi sisters. And then you have the Puppet master in the form of Death Phantom seemingly playing both sides for its own personal machinations. In a way, I feel the conflict in this era could have been expanded on a lot more, as we really only get a glimpse of it. And there’s no real questioning of the subject by the likes of the characters from the present day period. But I think this kind of thing is perhaps a bit too complex for a series aimed at a very young target audience to tackle.